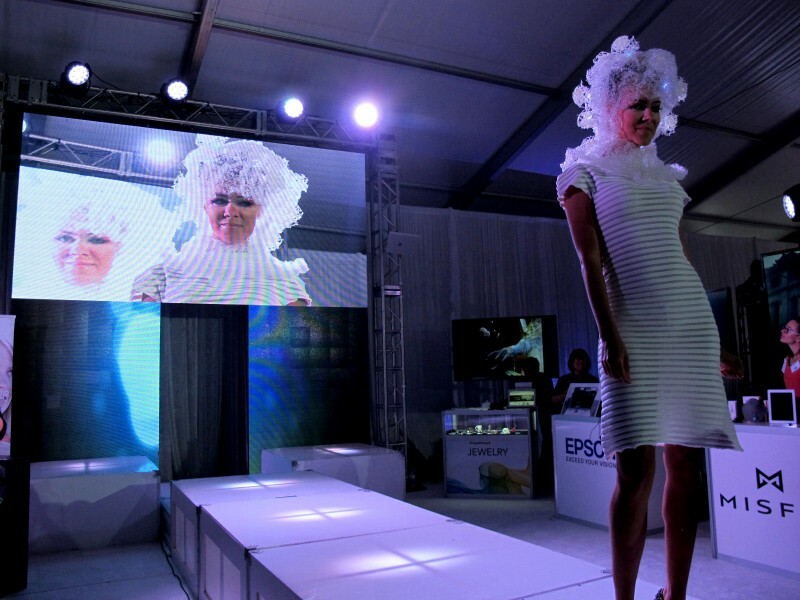 SENSOREEs animating body fashions “feel the room” in Miami. As part of a wearable tech runway show, the GER Mood Sweater and NEUROTiQ designs show how the models are feeling with real time color feedback. The Mood Sweater displays excitement levels with a visual light display on the collar, while the NeurotiQ shows brain state through colors in the 3d printed, knitted head dress. Thank you, Miami!